We all love Swiss Chocolate. 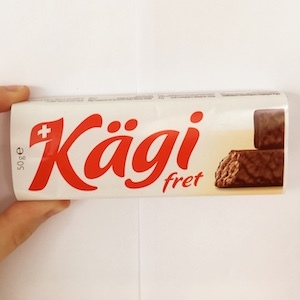 But the Kägi Fret Classic is something very special! Get the 50 Grams-Version containing two sticks.